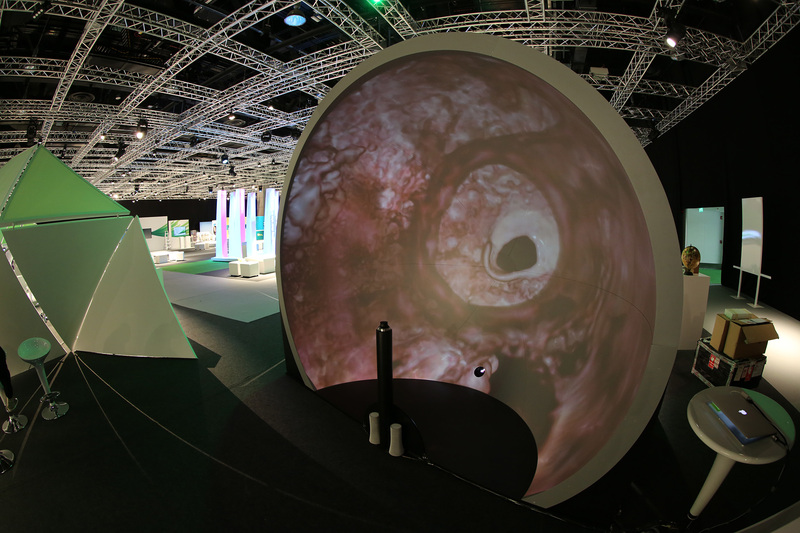 Fancy using your planetarium for immersive remote surgery? Just spent a week in Doha at the World Innovation Summit for Health. 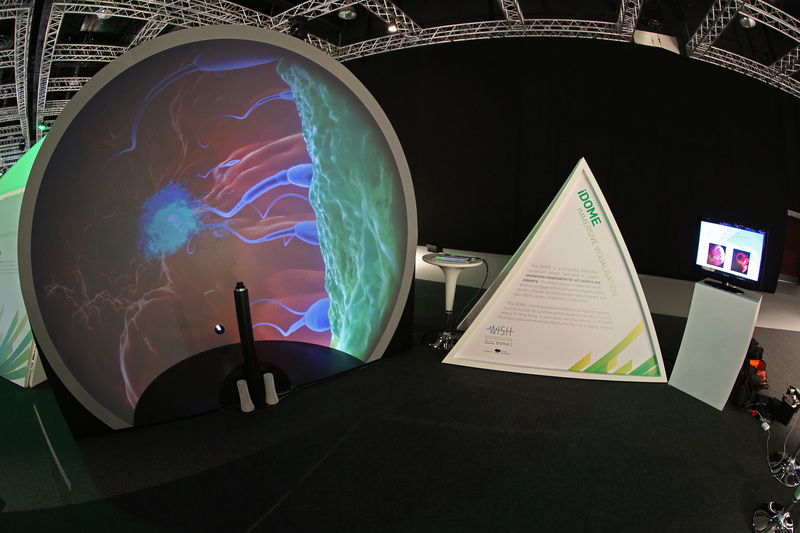 Besides being an amazing event I was commissioned to set up an iDome in the innovation hall. While I put together some content based upon medicine and biology, the main content was to demonstrate immersive remote surgery. One of the main organisers of the event (1000 delegates, invitation only) is the Imperial College of London where they have invented a surgical tool called the iKnife. In short it is an electric knife (i = intelligent) for surgery that extracts the smoke from the cut tissue and runs it through a mass spectrometer and tells the surgeon what type of tissue he/she is cutting through (healthy, cancerous for example). In short we demonstrated this at the conference, on a pretend patient of course … a selection of cow internal organs. This entry was posted in Uncategorized and tagged iDome. Bookmark the permalink.